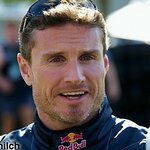 Formula 1 legend David Coulthard may have retired from the sport that made him famous, but he is certainly not forgotten. The Scottish driver is an Ambassador for the spinal injuries charity Wings For Life, and recently spoke about why the organization is important to him. “Of all the injuries and disabilities you can have, [paraplegia and quadriplegia are] particularly cruel, especially for a young person,” he told the Daily Record in the UK. "For a large part of my adult life, I’ve been surrounded by people who have these kinds of injuries and, not just to say nice words, I am sincerely amazed and inspired by way they deal with the realities of the situation they find themselves in. I just cannot imagine how you would cope. “I’ve been involved in supporting this kind of work for a while, through the Race of Champions event which has supported spinal cord research, before joining Red Bull. But I have got more involved through them. “Wings For Life started through another Red Bull-sponsored sportsman, motocross rider Heinz Kinigadner, whose son and brother both have paralysis. I’ve also come across people at various events who have just amazed me. Quite often, they have been paralyzed by simple things like household injuries but are getting on with life the best they can. Coulthard suffered a series of crashes throughout his career, and even survived a plane crash. He now spends a large percentage of his time raising money for Wings For Life, a charity that helps the 2.7 million people around the world who suffer from paraplegia and quadriplegia. “One of the things I discovered is that most spinal-cord injuries are not caused through sports,” he said. "Most are from everyday injuries like falling in the bath or crashing a car. I was watching a program the other night about knife crime in Scotland, and a boy took one single stab wound to the neck, which cut his spinal cord. He’s in a wheelchair for the rest of his life unless we can find a cure. More information about Wings For Life and the work they do can be found here.